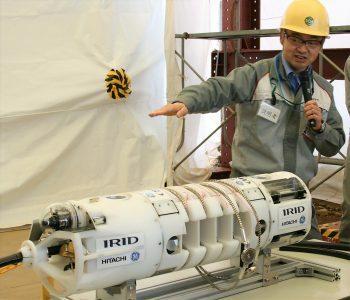 On March 28, Japan’s Hitachi-GE Nuclear Energy and the International Research Institute for Decommissioning (IRID) announced their joint development of a series of boat-type submersible devices to investigate the interior of the primary containment vessel (PCV) of the Fukushima Daiichi-1, in anticipation of the removal of fuel debris from it. On the same day, the devices were shown to the press at the Hitachi-GE Rinkai Factory. 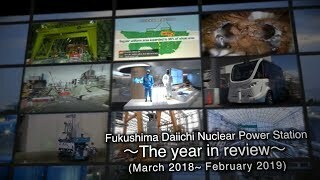 Investigations conducted inside the PCV at the Fukushima Daiichi-1 in March 2017 revealed sediment accumulating in the water at the basement level of the pedestal (the bottom part of the reactor pressure containment vessel). Expecting to use them in the first half of FY19 (April to September 2019), Hitachi-GE and IRID worked to develop the boat-type submersible devices to increase the understanding of the nature of the debris, as well as the effects of debris removal, among other matters. Developed this time were five cylindrical submersible devices (each measuring approximately 25cm in diameter and 110cm long) and a small box-type boat (measuring approximately 18cm high, 20cm wide and 45cm long). — Installation of a guide ring (to prevent cables to the devices from getting caught in existing equipment). — 3D mapping of sediment. — Measurement of the sediment thickness. — Detection of fuel debris. The small boat, meanwhile, is equipped with both telephoto and wide-angle lenses for visual observation, enabling a grasp of the entire situation at the site, in preparation for subsequent data acquisition and sampling. Operators are being trained at a mock-up of an actual plant prior to the deployment of the submersible devices and the boat. 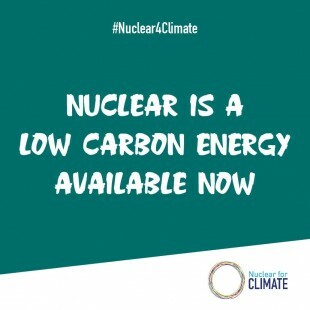 On March 28, at a monthly press conference to report on the state of decommissioning progress, President Akira Ono of the Fukushima Daiichi Decontamination & Decommissioning Engineering Company was asked about future fuel removal. Saying that it was important to develop devices based on individual plant characteristics, he stated in his response that before the end of the current fiscal year (that is, by March 2020), the company would clearly identify the first unit from which fuel debris would be removed according to the work schedule described in the medium- to long-term roadmap toward the decommissioning.